Designed to be ceiling-suspended, this model provides 360° attraction and is ideal for industrial and commercial food premises. Populations of smaller flies are on the increase, putting jobs and reputations on the line. 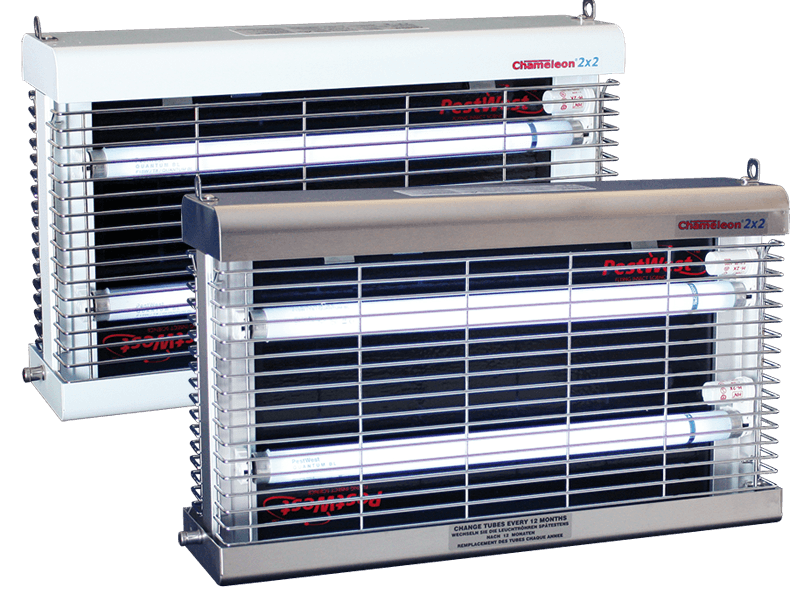 The double sided Chameleon® 2×2 protects large open areas and catches all sizes of flies, especially the smaller ones that may be missed by traditional units. and sticky boards to minimise stocking requirements.